The body’s truly amazing inflammatory response can be considered both a friend and a foe. Acute inflammation can begin within seconds of an injury or pathogenic invasion and involves an influx of white blood cells – the body’s first responders that seek to attack and destroy injurious pathogens and initiate the healing process. Once the threat is neutralized, anti-inflammatory compounds move in to complete the course of healing. An inflammatory response that turns on and off as needed signifies a healthy, well balanced immune system. Chronic inflammation happens when the body overcompensates, sending an inflammatory response to a perceived threat when an inflammatory response is not required, and leaving the immune response on high alert. This misguided and unfocused immune response can result in attacks on healthy cells and internal organs, opening the door for illness and disease. Unresolved, low-grade chronic inflammation is believed to be at the core of a wide range of chronic conditions. While often symptomless until a loss of bodily function occurs, slow simmering chronic inflammation stokes the fires of a variety of conditions including metabolic syndrome, cardiovascular diseases, diabetes, autoimmune diseases, cancer, depression, and unrelieved chronic pain, as well as Alzheimer’s and Parkinson’s diseases. Inflammation triggers can include genetics, obesity, chronic stress, poor nutrition, dysbiosis, allergens, pollution, a sedentary lifestyle, alcohol abuse and smoking. Because the Standard American Diet (SAD) relies heavily on processed and manufactured foods and refined sugar, flour and oils, many of us live in a pro-inflammatory state of health. Optimizing nutrition with anti-inflammatory foods, eliminating toxins, reducing stress, staying hydrated, exercising, and prioritizing sleep are all ways to rein in chronic inflammation. Support for a normal inflammatory response remains at the center of a healthy, pain-free life. In addition to healthy lifestyle habits, one of the best ways to quell inflammation is through a nutrient dense diet. Studies have identified certain foods that can either inflame or douse the fires of uncontrolled chronic inflammation. Inflammatory foods to avoid include fried foods, soda, refined carbs, and red and processed meats. A steady diet of these foods burdens the body with free radicals and, in turn, can lead to a shortened lifespan. Gluten, dairy, soy and other known dietary irritants may also result in inflammation in those with sensitivities or allergies. Anti-inflammatory foods include leafy greens, fatty fish, nuts, olive oil, cruciferous vegetables, mushrooms, tomatoes, berries, cherries and oranges. Along with Tulsi and Matcha teas, spices such as turmeric, rosemary, ginger, and cloves pack a powerful anti-inflammatory punch and are very effective at subduing the inflammatory response. Given the proper nutrients, the body has the ability to put out the fires of inflammation. Dietary components can either trigger or prevent inflammation from taking hold in your body. Choosing the right foods may help reduce the risk of illness, and improve mood and overall quality of life, while choosing the wrong foods could accelerate inflammatory disease processes. When the body lacks essential and critical nutrients, it is unable to function properly and cannot keep inflammation in check. Focus on your diet. High-glycemic index foods, such as snack foods, refined carbs and sugar laden foods, raise inflammatory markers along with blood sugar. Avoiding fried foods is key to reducing free radical formation believed to be at the root of low-grade inflammation. Following a largely plant based diet, such as the Mediterranean diet, which has lots of veggies, fruits, fish, whole grains, healthy oils and moderate amounts of red wine, will provide antioxidants and anti-inflammatory phytonutrients, which help to curb inflammation. The best advice is to eat real whole foods, especially foods high in antioxidants and phytonutrients. Strive for a healthy weight. Excess body fat contributes to insulin resistance, which leads to high blood glucose levels known to cause inflammation that can damage blood vessels and organs. Keeping insulin levels low is key to preventing chronic inflammation. Reduce your toxic burden that creates free radicals. As much as possible, switch to natural cleaning and beauty products to reduce toxic exposure. Choose organic fruits and veggies when you can. Foods such as garlic and onions help to detoxify the body. Cruciferous vegetables, such as broccoli, kale and Brussels sprouts, help to maximize your phytonutrient intake and increase your body’s ability to detoxify. Take a breather. High stress and anxiety levels increase inflammatory activity. Studies show that people who suffer from chronic stress or long-term anxiety also experience high levels of inflammation. Gentle exercise such as yoga or tai chi, mindful breathing and relaxation techniques can help to reduce stress, which in turn cools inflammation. Seriously, get moving. Between commuting, working and TV watching, the average American sits for 10 hours or more each day. Research shows that this level of inactivity is not easily offset even for those who exercise an hour each day, have a healthy diet and maintain a healthy weight. If you must sit for long periods of time, get up and move around for at least 5 minutes every hour. As often as possible, limit the amount of time you spend sitting. 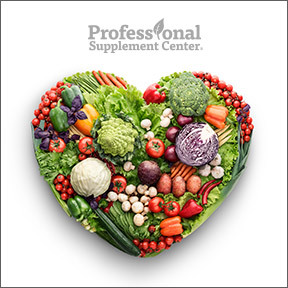 Helpful nutritional supplements include omega-3 essential fatty acids, selenium and antioxidants. Omega-3’s fight overall inflammation and help reduce oxidative stress. Ginger and turmeric are great tasting spices that have strong anti-inflammatory properties. One often overlooked nutrient is the essential mineral selenium. Selenium, especially in combination with vitamin E, offers not only antioxidant protection but also supports thyroid and immune function. Celapro by Metagenics® – This highly concentrated blend of tissue protective phytonutrients includes D-limonene, curcumin, green tea extract and lycopene formulated to provide free radical protection and support healthy cellular aging and proper DNA replication. Gluten and dairy free, Non-GMO formulation. Zyflamend Whole Body by New Chapter – 15% OFF This botanical formula provides a full spectrum of whole herbal extracts traditionally used to support a balanced whole body inflammatory response after exercise, relieve minor pain and soreness, and support movement and flexibility. Gluten free, Non-GMO, vegetarian formulation. AntiOxidant Formula by Pure Encapsulations – This formula offers a broad spectrum range of synergistic antioxidant nutrients to promote cellular health and enhance the body’s natural defenses against free radical damage in all bodily cells. Gluten free, soy free, Non-GMO formulation. PGX Daily by Bioclinic Naturals – This clinically studied proprietary complex provides three high viscosity fibers to help normalize blood sugar levels, support balanced blood cholesterol levels and improve insulin sensitivity. Gluten and dairy free formulation. Phytoganix™ by Metagenics® – This powdered formula provides a highly nutritious and diverse daily supply of phytonutrients from certified organic sources in support of good nutrition and overall wellness. Gluten free, vegetarian formulation. This entry was posted in Home and tagged AntiOxidant Formula by Pure Encapsulations, Celapro by Metagenics, diet, Fight Chronic Inflammation with Nutrition, Healthy Weight, inflammation, PGX Daily by Bioclinic Naturals, Phytoganix by Metagenics, Professional Supplement Center, Vitamins and supplements, www.professionalsupplementcenter.com, Zyflamend Whole Body by New Chapter. Bookmark the permalink.